Haha! Surprised? 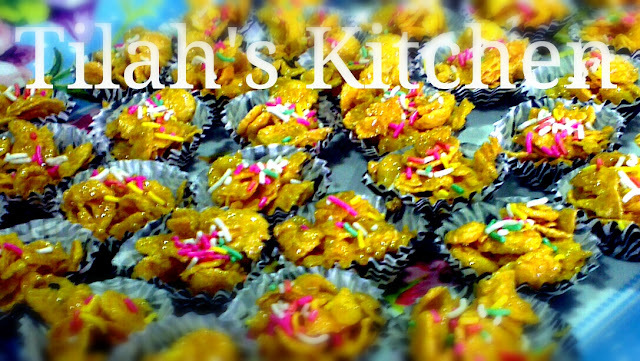 Yes, this is kitchen tip from my mother. She uses Vicks VapoRub for almost everything. Aches, pains and even burns! Always have Vicks VapoRub in your kitchen!﻿ Being a cook in the kitchen always subjects us to kitchen hazards! One of the most common hazards is oil splatters on the hands and if you are unlucky enough, on the face!! Apart from giving relief during common colds and chesty coughs for children and adults, Vicks VapoRub is a skin saver! Not screen saver. I repeat, skin saver! 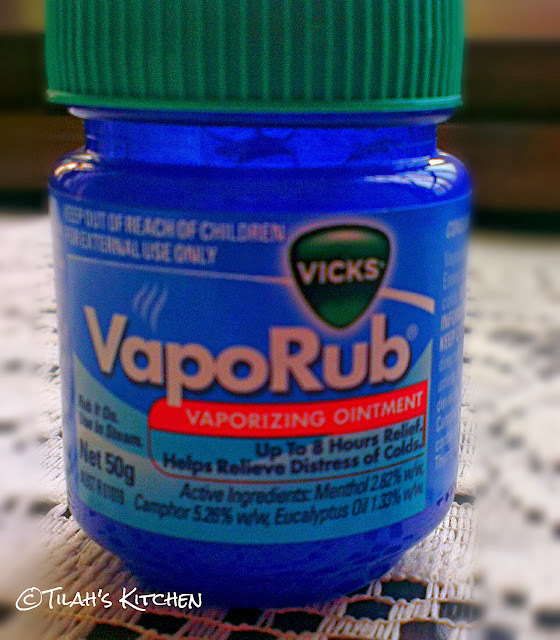 Vicks VapoRub is the remedy that I always apply on my kitchen-ing assistant's hands and on my own hands. According to my mother, once you have oil splatter burns on your skin, do not run it under cold water. Take Vicks VapoRub and apply it on the burns. It may bite a little because of the cooling effect but it will go off after a while. All you need is to apply maybe three times at most, if necessary. The burn pains will go off. The added benefit is, if you apply it fast enough, the burns don't leave a mark. If you did apply Vicks VapoRub after some while and the mark has developed on your skin﻿, the marks don't usually stay. So you know what to do the first thing when oil splatters on your face! Run for Vicks VapoRub ladies and gentlemen! Added plus! If you had a fall or accidentally knocked into something and you think it might cause a bruise on your skin or cause a "blue-black", apply Vicks VapoRub before anything else! The bruise marks will not appear at all. If you had bumps from the fall or the knock? 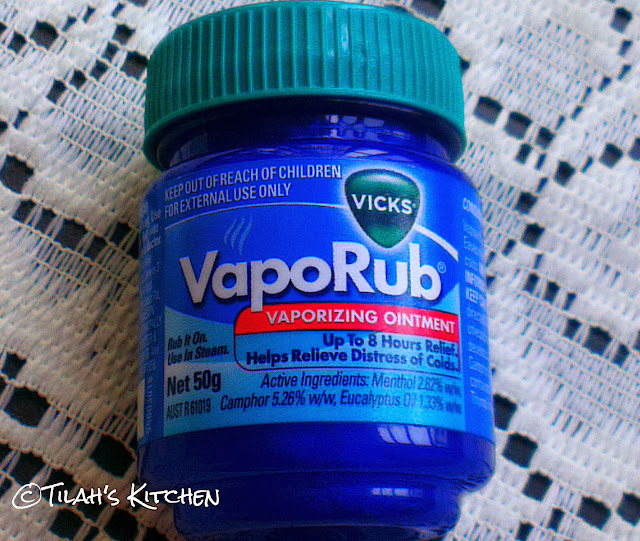 Same thing, Vicks VapoRub will save the day. Hopefully the above tips from my mother helps! Wa'alaikumsalam wr wb. Kalau gitu lain kali saya pun boleh cuba pakai kicap. 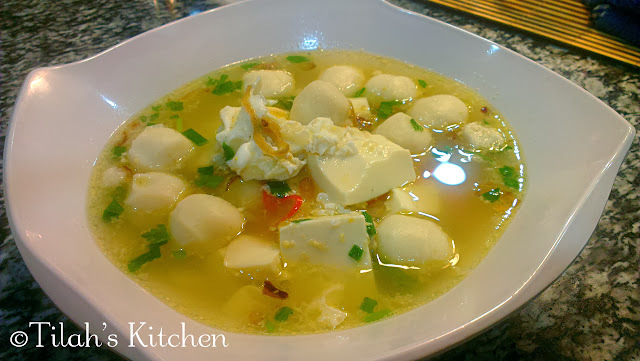 Terima Kasih kerana sudi menjengah blog saya. Harap petua ibu saya ini dapat memberi manfaat.